Ace har börjat att jobba med en bok om sin tid i Kiss. Ace Frehley performed with KISS from its inception in 1973 until his first departure in 1982 before rejoining KISS in 1996 for a very successful reunion tour. 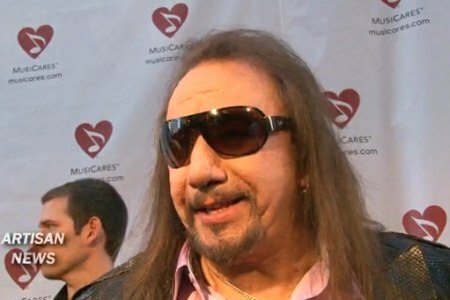 Frehley’s second stint lasted until 2002 as Ace went back to being a solo artist again, but the stories and memories still remain from touring in one of rock and roll’s most successful acts of all time. One the red carpet just before his performance with Slash at the at the sixth annual MusiCares MAP Fund benefit concert on May 7 at Club Nokia in Los Angeles, Ace Frehley talked about putting his memoir together and how he got help remembering some of his old stories that he might have forgotten. ”It’s gonna be memoirs, you know,” he said. ”I just turned 59, [so] I think it’s about time I start getting the stuff out and writing it down on paper before I forget it.